BERLIN, December 26. /TASS/. 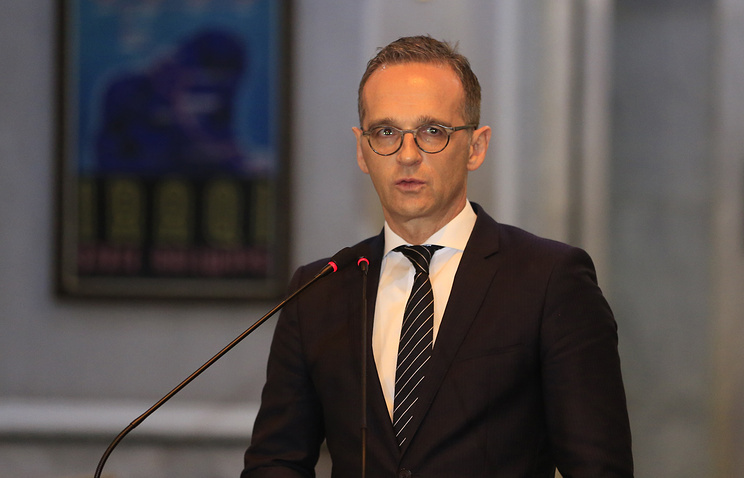 German Foreign Minister Heiko Maas has spoken out against the deployment of US medium-range missiles with nuclear warheads in Europe in the event of Washington’s withdrawal from the Intermediate-Range Nuclear Forces (INF) Treaty. “Europe should not turn into a platform for discussions on arms buildup under any circumstances,” the minister said in an interview with the DPA news agency published on Wednesday. Hey Buddy!, I found this information for you: "Top German diplomat opposes deployment of US medium-range missiles in Europe". Here is the website link: https://russophile.org/top-german-diplomat-opposes-deployment-of-us-medium-range-missiles-in-europe/. Thank you.